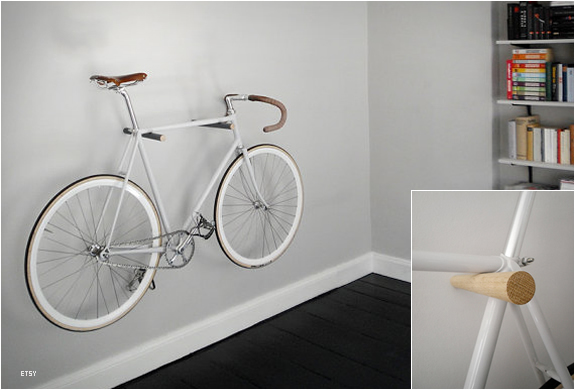 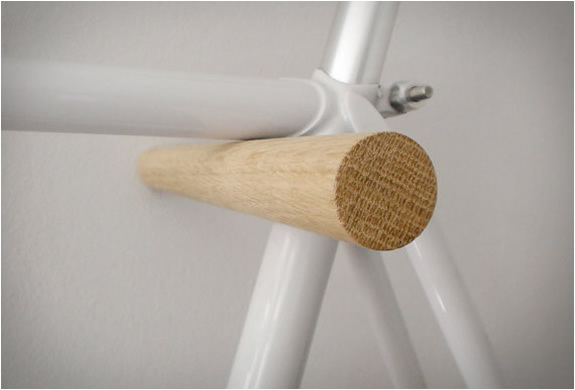 Simple, clean and functional, these minimal wooden bike hooks are all you need to showcase and store your prized bike. 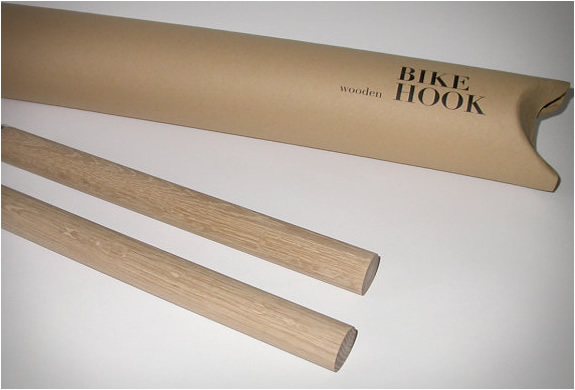 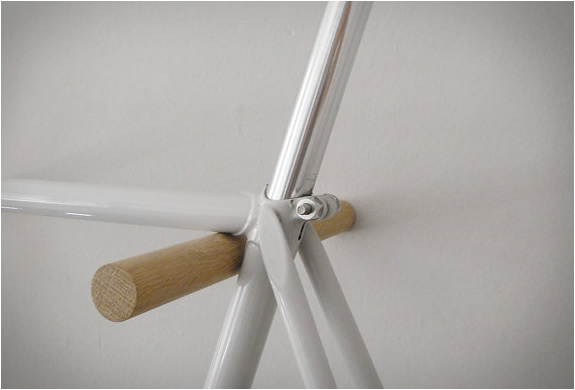 The pair of hooks are made in beautiful and natural plain oak wood and are perfect to store your bicycle indoors. 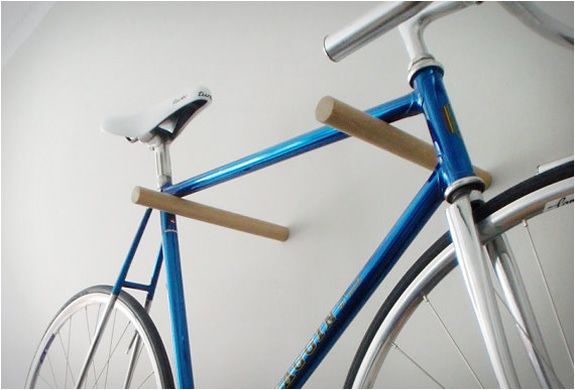 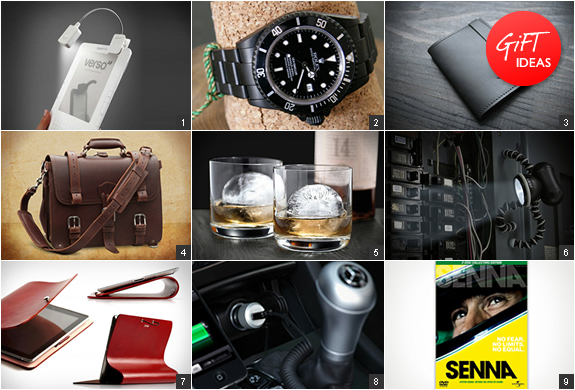 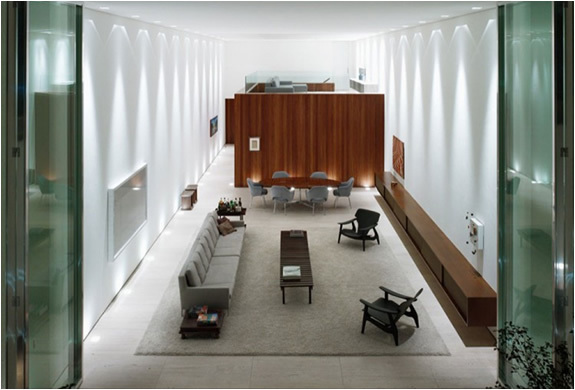 If you´re a DIY type of guy, you could probably make these yourself.